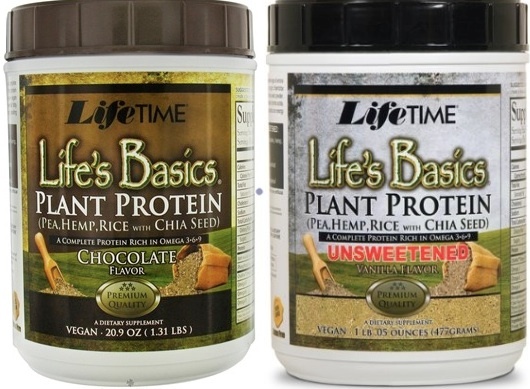 Life’s Basic Plant Protein has been my go-to protein powder for almost a year. Proposition 65 Warning: California Consumers – This product contains a chemical known to the State of California to cause birth defects or other reproductive harm. Yams, turnips, apples, tomatoes, artichokes, carrots, cucumbers, green beans, lettuce, spinach, potatoes, corn, and many, many more fruits and vegetables. For instance, carrots contain 12.80 micrograms of arsenic in a one cup serving; green beans contain 28.75 micrograms of lead in a one cup serving, 56 times the allowable limit! 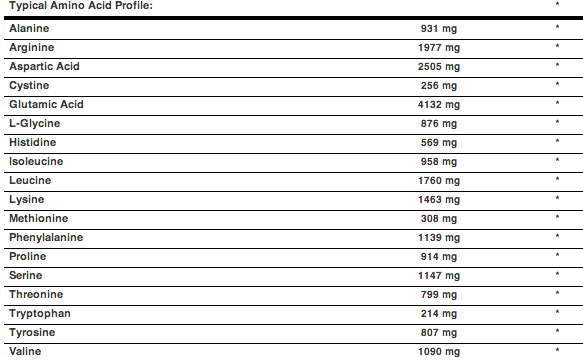 Vitamin products containing all natural ingredients are naturally going to contain these substances. The only conclusion I could draw was that the Proposition 65 warning stems from the fact that the ingredients in Life’s Basic are not organic, and likely contain some of the dangerous substances on their list. I am not a nutritionist or food coach, or doctor, but the only other red flag on the Life’s Basic ingredient list that I could see was the high level of Glutamic Acid. According to Livestrong (not exactly a credible source for dangerous substances, but there you have it), too much Glutamic Acid can build up to toxic levels in your brain and cause neuron damage! As I said, I haven’t asked me doctor about this, but it scared me nonetheless. I’ll have to comb through the ingredients of my next protein powder with a fine-toothed comb. I tweeted Kenny Steil who recommended Garden of Life Raw Protein Powder, which I think I will try next. What do you think? Can you recommend a good vegan protein powder without any scary labels? “On last month’s shipment I noticed a small label that is stuck on to the back of the product, a California Prop 65 warning. The label reads, “WARNING: This product contains a chemical known to the State of California to cause birth defects or other reproductive harm.” Naturally, I was alarmed. Living in California, I’m used to seeing this warning tacked up in most restaurants, canned food aisles, and parking garages. However, I never expected it to be on my precious plant protein powder. “It’s so hard being vegan, there really is no winning no matter what you do,” I thought to myself. I then stowed my violin and did some research. So don’t be too worried! FYI, Not one plant based meal supplement powder sold in the state of California could be sold without a warning label!!!! It does not mean it is harmful! 39.5g serving size of most any plant based product will exceed the limit of 0.5mcg of lead, but so will an extremely healthy diet of organic base foods because lead is found in the earth’s crust. Ironically you can buy most all synthetic food supplements that meet Prop 65because they are void of ant heavy metals that come naturally from the earth. Again, because it has a warning label DOES NOT mean it is harmful!!! Thank you guys so much i had been tripping over this for weeks! All clear and back to the plant protein!